The Pro Box 'Commercial' Six Leg Swivel Punch Bag Chains has a swivel top for better bag movement and less stress and vibrations. Suitable for a gym or club environment. Holds Punchbags up to 100kg. Commercial use suitable for clubs and gyms. Swivel top part to relieve stress on bag. Four strand bag chains to fit a four D Bar or four strap bag and Six strand bag chains to fit a six D Bar six strap bag. 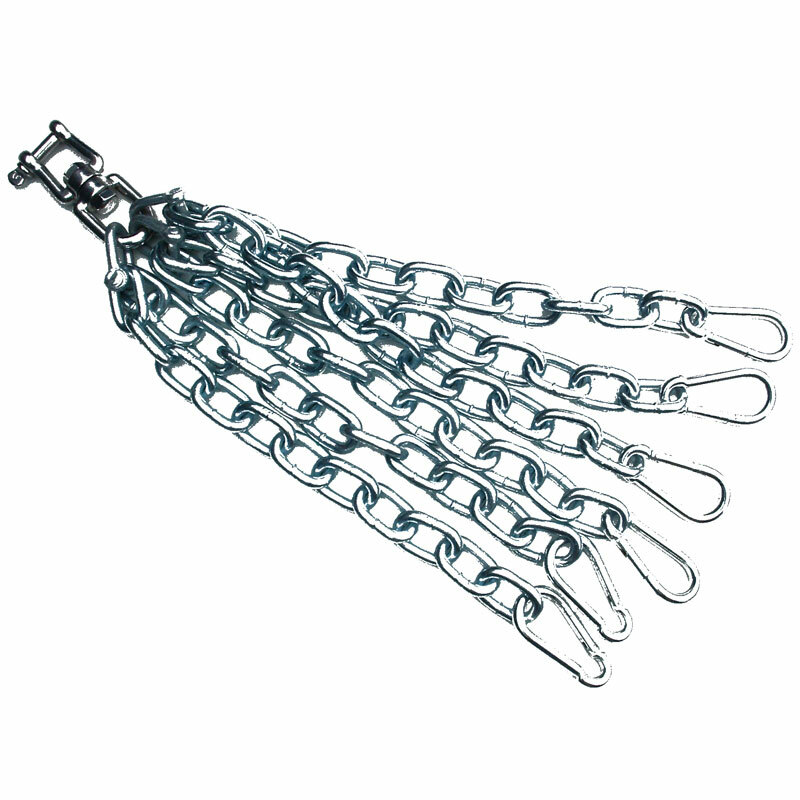 Very strong chains, able to hold up heavy weight bags easily. Easy enough to attach. Not designed for regular attachment / detachment.